Thank you for visiting the Walker website. 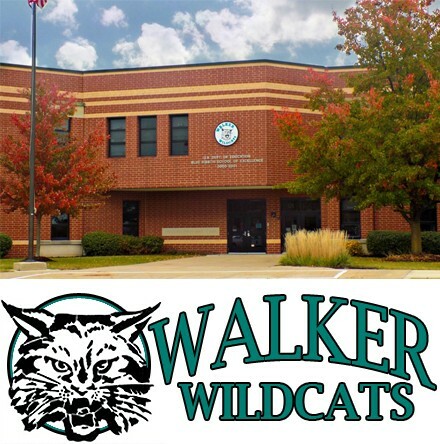 Feel free to peruse our website to check out all the happenings at Walker Intermediate School. Please view our staff's webpages regularly to get information on current assignments, projects, assessments and homework. Our staff keeps their webpage updated allowing you to use it as a resource to stay connected with your child's learning. If you have any questions for our teachers, staff, or administration, please feel free to contact us. At Walker Intermediate School we are focused on creating a positive learning environment where children and adults are all treated with respect. In an effort to create this environment we recognize students and staff who demonstrate our school wide expectations. Read More about our School Improvement Plans for 2018-19. Car riders enter/exit the front doors of the building. Student dismissal time for after school activities is 3:55 p.m. Please pick your child up in front of the school at 3:55 p.m. and follow the traffic pattern. Thank you! The Physical Education teachers at Hilda Walker Intermediate School will once again be collecting Box Tops for Education during the 2018-2019 school year. As you know the funds raised through out the year assist the Physical Education Department in supplementing equipment cost. Please send any Box Tops for Education that you may have with your child to give to their Physical Education teacher. Thank you for your continued support.